Welcome to our 10th edition of Chalk Talk and the final issue of 2017! We would firstly like to thank all of our members for your patience during our club redecoration. We are still making improvements to our foyer and changing rooms and will be laying new flooring over the Christmas holidays. The British Gymnastics insurance system is now up and running and we would like to remind all members to renew their membership before 31 October via the British Gymnastics website. On 22 September Sue James and Paul Garber came to Woking Gymnastics Club to present awards from the 2017 South East Regional Presentation evening. 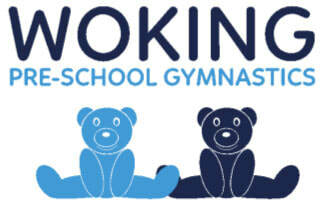 We would like to congratulate the 14 award winners from Woking Gymnastics Club! Our team of coaches have been busy this term, with Steve Elwood and Hayli Chappell passing their level 2 artistic qualification and Craig Woodhams passing his Brevet judging award. We would also like to congratulate the 16 young leaders who have recently completed their Award Scheme coaching qualification. Finally, we would like to wish the following coaches good luck on their upcoming coaching exams; Craig, Rishiel, Kellie, Lorenzo, Sophie and Heather. Finally, we would like to say goodbye and good luck to Megan Avery who has left us this term to start university. Megan has been long a standing member of WGC and we would like to thank her for all her hard work and commitment. ​Our pre-school department continues to improve and grow with the introduction of new themes, equipment and music. ​We would like to welcome Rishiel to the pre-school team who is helping in our parent free classes. We would also like to remind all members that DE Photographers will be in from 6 – 10 November. Finally, we would like to say goodbye and good luck to Clare Defina who has enjoyed her last term with us at WGC! Clare has been a part of our pre-school team for many years and we are very sad to see her leave. Thank you for all your hard work and we will miss you very much! ​Thank you to everyone who has signed up to our Easy Fundraising page which helps us to raise funds for the club when you shop online! This year we have managed to raise over £500! 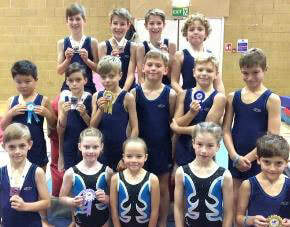 ​On 1 October, 37 of our intermediate and advanced, floor and vault gymnasts took part in the regional competition. The day saw some great performances from all of our gymnasts. We had 11 gymnasts achieving the required score to move to their next level of competition. Tegan, Lexi, Olivia, Laura and Niamh will now move into the advanced level. 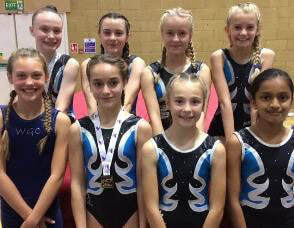 Riley, Leila, Toby, Laila, Amy, and Hannah all achieved 16.0 or more to move into the bronze level competition. Congratulations to all gymnasts, coaches and judges!